Elysha has a great personality that is the perfect fit for clients looking for someone to be an extension of themselves, their brand, and thier business. She is inquisitive, focused, and determined. Elysha has management experience and significant leadership qualities. She works well in professional environments and has excellent communication skills. She has a keen, creative eye, is highly-organized and thrives in deadline-driven environments. Elysha is a person of integrity who always strives for excellence. In addition to her role at My BTLR, Elysha is also a budding pastry chef. She enjoys making people happy with her food skills ... and her virtual assistant prowess! 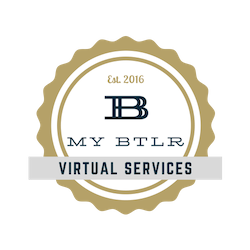 Virtual assistant for personal and business clients including both small business, not-for-profit, and personal clients. Provides internal support for My BTLR corporate marketing, blog article creation, and other project-based support. The Jacaranda Center for Family and Youth Development, Inc.